Interview Magazine have a new interview with Emily talking about the recent release of The Young Victoria. 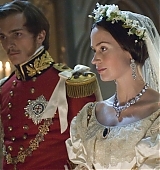 According to The Hollywood Reporter, The Young Victoria will be closing this year’s Toronto International Film Festival. The festival begins September 10. 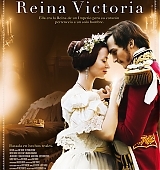 The Young Victoria has yet to be released in North American, so I hope this will help it get the attention it deserves! Thank you, Lisa, for the heads up. 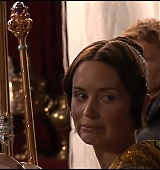 As promised, here are the DVD Screen Captures from The Young Victoria. I know a lot of people still haven’t been able to see the film so I hope you enjoy the caps! 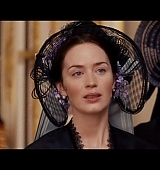 Em was so beautiful in this film. A big big thank you goes out to Tara who has very kindly sent in these gorgeous HQ stills and promos from The Young Victoria that we either didn’t have or were tagged! 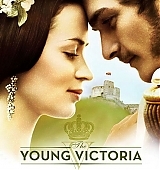 Also according to play.com the DVD for The Young Victoria will be released on July 13th in the UK! Two gorgeous new posters from The Young Victoria have been added to the gallery, thank you so much to Tara for donating those! I have also uploaded another image from the promotional photoshoot Emily and Rupert did. 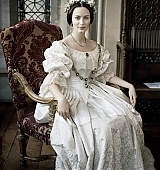 The Irish Independant has an interesting article about Emily and her role in The Young Victoria. The article is already in the press archive. 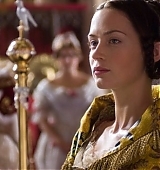 It also came with a love picture of Emily in her Victoria costume. I managed to find a larger version for the gallery. 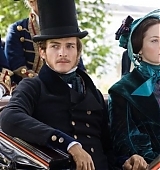 Blunt and Dench’s portrayals are at opposite bookends of Victoria’s life, but both found a way of bringing the hoary old matriarch to life […] Her relationship with Albert is the lynchpin of the movie — it helps that he is played by Rupert Friend. “Poor Rupert,” says Blunt, “we were being interviewed together this morning, and some of the female journalists just came out and said to him, ‘You’re gorgeous’. I mean, what do you say to that? He was really embarrassed.” I’m pleased to see that Blunt is a bit of a lioness when it comes to her friends, or should we say, Friend. I make a mental note not to call him a heart-throb in her presence. Hello everyone. 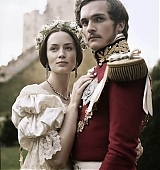 I found two more clips from The Young Victoria, which opens today in UK cinemas. If you get a chance to see it, please let us know what you thought of it! Meanwhile, I added the clips to the video archive and screencaps to the gallery! 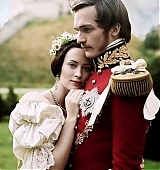 As well as featuring a behind the scenes look Film 2009 also reviewed The Young Victoria for the show that aired on March 3rd! 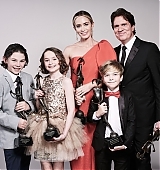 Jonathan Ross talks highly of the film and praises both Emily and her costar Rupert Friend. The video can be viewed here. Captures are below. 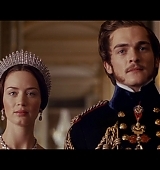 A new clip from The Young Victoria has surfaced. It is a romantic scene entitled “Marry me.” I added the clip to the video archive and made screen captures for the gallery. As well, I added a TV spot and an interview with Emily about the film. The links are after the thumbnails. 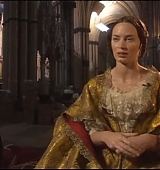 Ok, here is that behind the scenes look at The Young Victoria that was featured in Film 2009 with Jonathan Ross! There are a few new scenes in there so it’s definitely worth a watch! Video can be found here. The Paul O’Grady show is airing right now, Emily’s segment has already happened, so I’ll do my best to get a video of that!